Storedot – A little known Israeli startup company that has created a protein based peptide-nanodot smartphone battery that gets fully charged in 30 seconds. They’re currently working on optimization and commercialization. Phinergy – Another Israeli Startup. 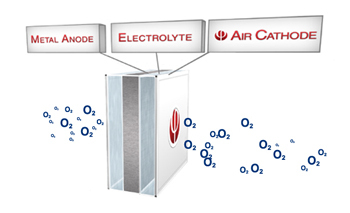 They make Metal air batteries (aluminium air & Zinc air) that are lighter and more energy dense than Lithium-ion batteries. They’re in the process of demonstrating a car with a 1100 mile range (1700km). On the downside, metal-air batteries have a well known propensity to break down so hopefully they’ll overcome the durability problem. 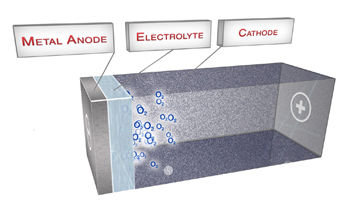 Fuel Cells are electrochemical devices that produce electricity from fuel without any moving parts. They are more efficient than any internal combustion engine, reaching efficiency levels over 85% for CHP and producing water in the process. Apple alone has over 10MW of fuel cell energy from Bloom Energy at their premises. And in case you’re wondering, 10MW is enough to power a small city in a developing country. A great amount of resources have been poured into Fuel Cells along with their enabling technologies; i.e, hydrogen production & storage. Probably the biggest player in the world right now, by far, is the United States Department of Energy (DoE). They have 17 labs across the country all working on fuel cell technology as well as other technologies such as Nuclear, Solar, etcetera. 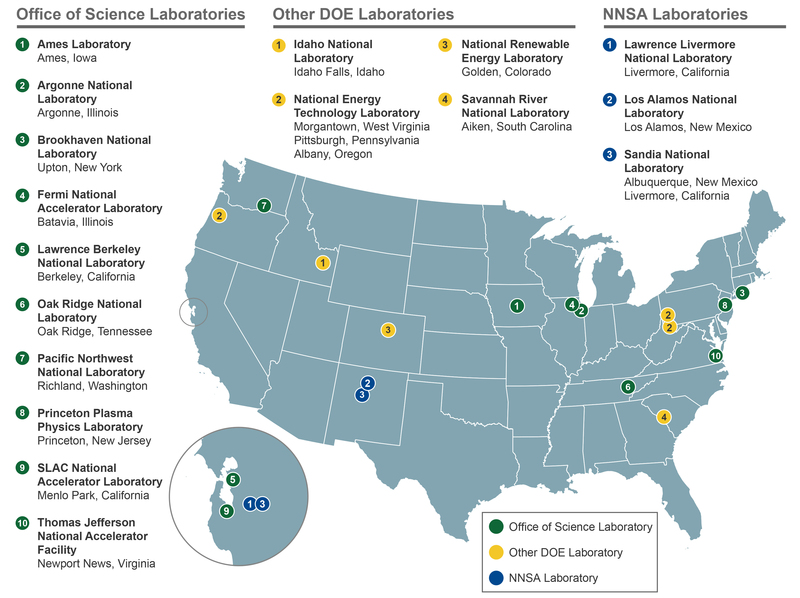 The Pacific Northwest National laboratory (PNNL) is one that strikes my fancy the most. They’ve been asking God questions and receiving answers, by this I mean they’ve been over the years looking to nature for answers on how best to to produce & oxidate hydrogen as this is the necessary component required for fuel cells to take off commercially. There’s a lot of research into fuel cells going on, with funding from the DoE. This obviously means therefore that the DoE sees hydrogen as the energy source of the future and fuel cells as a viable method for extraction of that energy. Unlike LENR which mostly produces heat energy and is little understood, fuel cells generate electricity, their science is well understood and the research quite advanced in terms of progress made, documentation, and level of commercialization. I applaud DoE for their professionalism in the manner in which they enable, encourage, coordinate, & fund this research into fuel cells. Just look for example at the thousand page Annual Progress Reports they produce yearly. 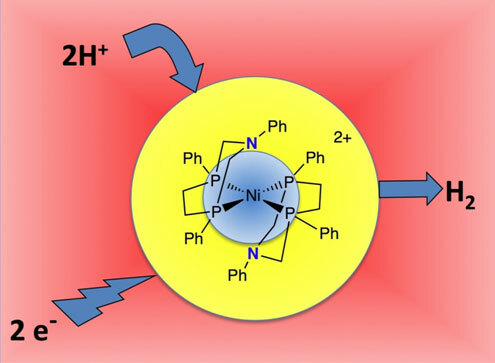 Researchers at BNL, sponsored by DoE, created a very active nanoparticle catalyst with a core based on palladium, gold, & cobalt, encapsulated in a monolayer (one atom thick) of platinum. This catalyst was so effective & stable & so ready for commercialization that the largest Japanese electrocatalyst company licensed it from BNL, as did Toyota who are actually now using it in their fuel cell car to be released in 2015. The elctrocatalyst was so good that the creator, Radoslav Adzic, won inventor of the year for the year 2012. 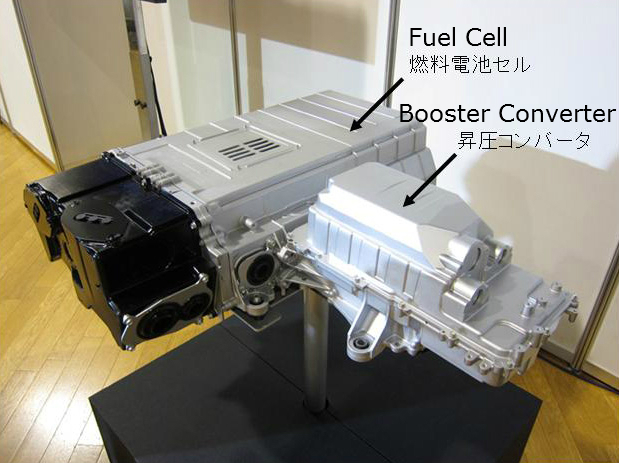 By the way, details of Toyota’s fuel cell are still very hush-hush so please don’t tell anyone. In looking for ways to lower the price of fuel cells further and provide even better durability while also creating an electrocatalyst not only capable of oxidizing hydrogen (electricity generation process with a byproduct of water) but also generating hydrogen from water in an electrolysis reaction, PNNL researchers looked to nature. Such an electrocatalyst is immensely difficult to conceive and model without going to nature for some answers. PNNL found that the hydrogenase enzyme is able to do just what they wanted. They therefore studied the enzyme and are currently working on making a molecular catalyst based on the functions of this very enzyme. The molecule will contain no precious metal, just Nickel or Iron, and a nitride. If successfully developed, this could potentially solve most of our energy needs and reliance on OPEC oil as it would solve the cost, power density, and hydrogen generation conundrums both for vehicles and distributed power. This entry was posted in Uncategorized and tagged Brookhaven, Electrocatalyst, Fuel Cell, Laboratory, LENR, metal-air battery, nanodot, Pacific Northwest. Bookmark the permalink.